The exciting new Creativity Centre, the largest development seen at Mentone Grammar, transforms the school's performing and visual arts, technology and senior school facilities. 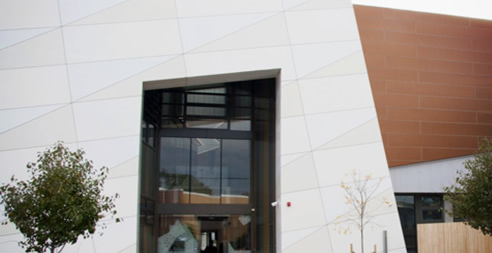 The cutting-edge design includes a 450 seat theatre; inspiring learning facilities for students including light-filled purpose designed visual arts studios for painting, sculpture, drawing, digital photography, printmaking and visual communication design; specialist food and materials technology, robotics, animation and 3D labs, a recording studio as part of an extensive new music school, drama and dance studios, passive and active learning zones and courtyards, and a stunning gallery space. 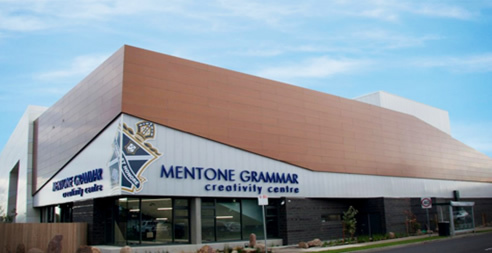 Project: Mentone Grammar School Creativity Centre. Location: 63 Venice Street, Mentone. Install Type: Interior and Exterior. Colours: Natural Copper, Natural Zinc, White 16, Cream, Pure White 10, Bronze Metallic, Gold Metallic and Seafoam Green. 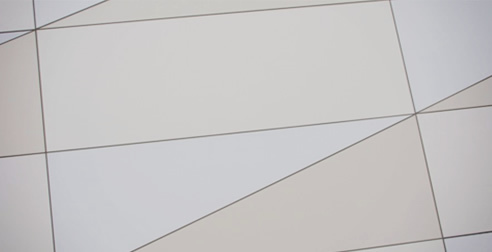 Fabricator/Installer: Custom Clad and Cards Pty Ltd.
ALUCOBOND® PLUS is the original and the world's most widely recognised aluminium composite material. 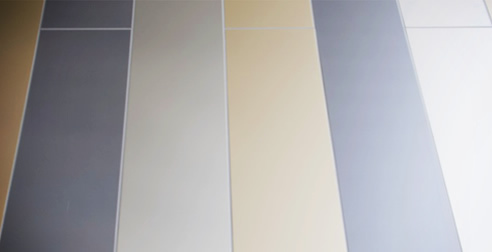 ALUCOBOND® PLUS has a factory applied coil coated Fluoropolymer (PVDF or FEVE) paint finish; recognised and proven worldwide as the best architectural coating available today for all climatic and environmental conditions. With a wide range of finishes and surfaces, ALUCOBOND® PLUS provides complete design freedom, even in the most complex situations. For more information, visit alucobond.com.au.